Affordable, wide-ranging and high quality contract close air support. RSW Aviation provides tailored solutions to Joint Terminal Attack Controller (JTAC) training all over the globe. We deploy and support training from initial FAC training all the way through advanced, multi-asset, multi-weapon platforms. The airborne training is flown by fighter pilots who are JTAC qualified and JTAC instructors. Our staff knows the skills required in training, in combat, and in contact. Having an asset in the air with our experience provides for efficient and accurate training. The Shorts Tucano provides exceptional value while supporting the full spectrum of JTAC training. 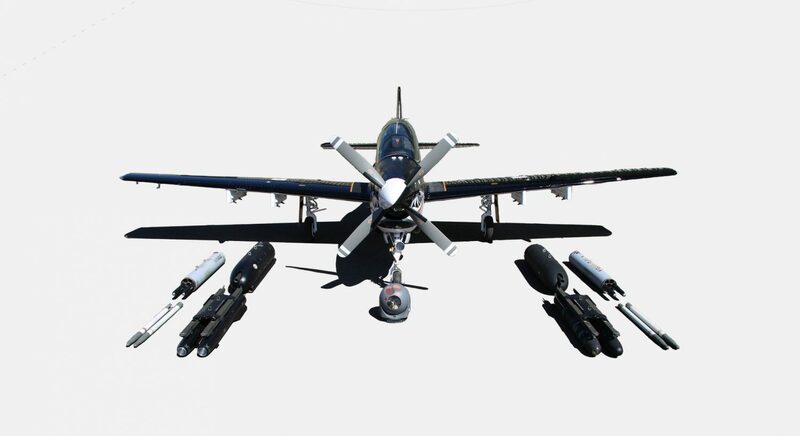 The Tucano boasts a 4+ hour loiter time, jet performance, Electro Optical (EO) / Infra-Red (IR) sensor supported by a live video datalink, NVGs and the ability to deploy freefall, laser & GPS weapons (inert and live), guns & rockets. We have partnered with Mile High Range in Texas and can host live and dry close air support at an ideal weapons range with turn key facilities for Close Air Support (CAS). Our helicopter is equipped with two Profense M-134 Miniguns that provide an excellent Close Combat Attack (CCA) and multi-aircraft CAS integration, day or night.